Thinking ahead can be a blessing in disguise for families, if you imagine you have savings in the bank and your estate that will need taken into consideration if something were to happen to you. Life can throw unexpected situations at us, it could be that you get ill or suffer from dementia in old age. If this happens you want to know that you have sorted power of attorney out and that decisions can be made sensibly on your behalf. The choice of who will be your executor can be difficult if you have children as you are dealing with their emotions and no doubt their ego’s. You should have a will prepared by your family lawyer, however we recommend that you arrange a meeting and have the legal paperwork drawn up. You may be in hospital and need someone to act on your behalf for a short period of time, or alternatively it could be a situation where you need to set up a lasting power of attorney (LPA), see the link here for more information. It is possible to restrict the access the person has to your information and assets, for example you could give the person access to your bank account, but not access to your home. The agreement has to be something you are comfortable with. The purpose of it is to make your life easier. In situations where maybe a family member has passed away, a relative may be unable to emotionally cope and wish some help with arrangements. 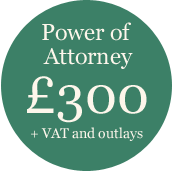 Ask your family lawyer if you need to set up a POA agreement and what this should entail. If there is Alzheimers or Dementia in your family health line, it could be advised to consider something like this now, families can be split because they do not know a loved ones wishes. Thanks for taking the time to read this blog. You can make an appointment with us by calling 0131 510 5764 in Edinburgh. We will handle your enquiry confidentially and sensitively.